Chitokoloki is a settlement on the banks of the Zambezi River in the North-Western Province of Zambia, Central Africa. Missionaries first settled at Chitokoloki in 1914 and since then there has always been a presence of expatriate Missionaries at Chitokoloki. The Mission is not a part of any mission organization but an independent group of Christians serving the Lord from various countries and continuing a long established work. In Zambia the missionaries associated with the Christian Brethren assemblies in other countries, are registered with the government under the name CMML ( Christian Missions in Many Lands) and have enjoyed complete freedom to preach the Gospel and have appreciated a very good relationship with the government for over 100 years. There are many opportunities to present the Gospel in word and deed through evangelism, medical work, education which includes the freedom to teach the Bible in almost any government school , printing press, orphanages, prison ministry and also by personal contacts to many who are usually receptive to the message of the Gospel. 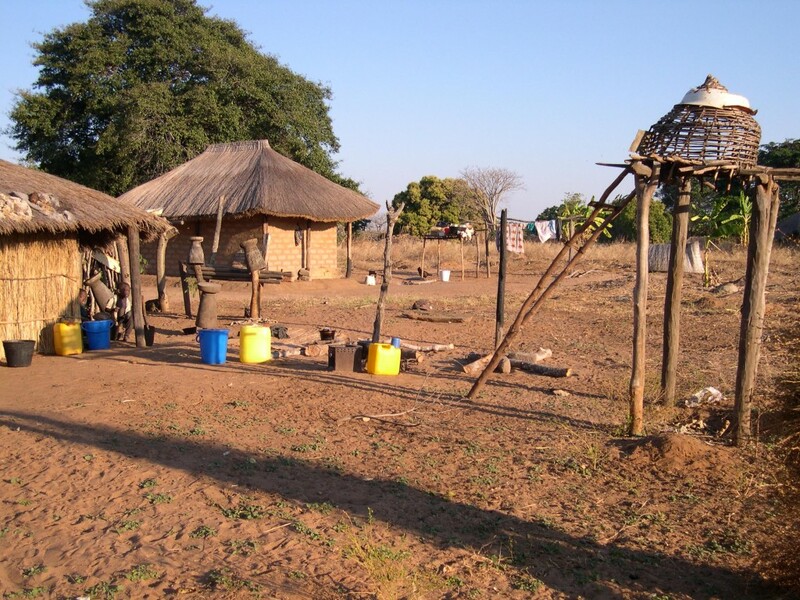 Chitokoloki Mission Station occupies approximately one square kilometer and is situated 43 kilometers from the nearest settlement which is called Zambezi, the district government headquarters. The Mission is surrounded by villages which are mostly very primitive and have seen little change in the past 100 years. The closest real shopping area is the Copperbelt, a long 10 hour journey away but where most supplies are purchased . The other source is Lusaka, the capital, and this only happens when someone is traveling there for business or to transport visitors who are either arriving or leaving the country. One of the great challenges is the required planning that has to be done well in advance for all medical, maintenance and other supplies needed and the logistics of organizing supplies, purchasing and transporting them which is always a major task. The Mission maintains two large trucks, a 15-ton Volvo and DAF truck that is capable of towing a 28-ton 48 foot long Box trailer that can carry more than the contents of two fully loaded 6 meter containers. 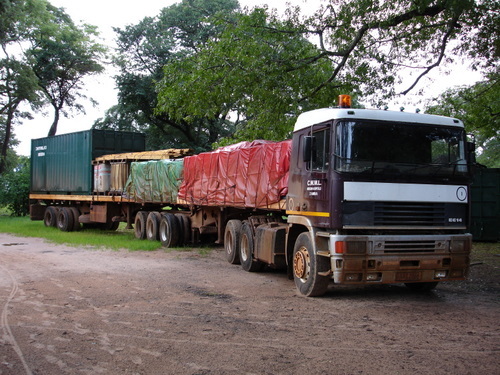 The trucks when necessary go mostly to the Copperbelt for bulk supplies and also to collect all the many goods that are received from outside the country. 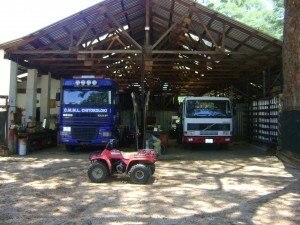 These are accumulated at Musenga Mission near Chingola, where they are off-loaded from the trucks bringing them from the coast and then the clearing of Customs must be done before the goods can be transported to the Mission station, a journey of over 700 kilometers and as of 2013 most of the way on good paved roads. The local people are mostly of two tribes, Lunda and Luvalle. The official language of Zambia is English but in the rural areas many only speak the vernacular languages. Most Hospital and Mission staff speaks English, so any visitors can communicate with them quite easily. An effort to learn the local greetings and courtesies is very much appreciated. Zambia is a republic in the Commonwealth and those on the Mission, visitors and missionaries are answerable as expatriates to the authorities, therefore local expectations are to be respected. The Mission Station is comprised of three separate hospital areas, 9 missionary homes, 5 guest flats, a Christian Bookroom, a large maintenance area, 35 staff houses, a swimming pool, a grinding mill, tannery, airstrip and hanger right on the property adjacent to the hospital and the two buildings used by the local church. Directly adjacent to the Mission are two Government schools covering classes from Grades One to Twelve. Being a considerable distance from any external source of electricity the Mission in the past had for many years to maintain it’s own generators, which provided 220 volts power for one hour in the morning and for three and a half hours in the evening. The fuel consumption of the generator was quite extensive as it used over 20 liters of diesel per hour and that is the reason it was limited to a minimum period of time. We are very thankful that over the past three years a team from Team Workers in Canada have visted on numerous occasions and have installed solar power in all areas of the Mission including the hospital and all the houses. This now means that we have 24 hour electricity and what a tremendous blessing it has been. In addition to providing lights the solar provides power for pumping the water up from the river into a large reservoir tower, over 45,000 liters of water is used each day. During the day water is gravity fed from the storage tanks throughout the Mission and water is required to be pumped up continually and when too much used then we have to revert to using the generator to top us if the solar is not able to keep up. This is the greatest improvement in many years which is almost completed where the hospital and other areas have been rewired and a large bank of batteries installed that are charged by the solar power providing 24 hour electricity. The 2 major hospital areas are completed, the maintenance area, visitor accommodation and the missionary houses as well as staff housing. In addition solar pumps have been installed to provide clean water for the two hospitals and the school and further plans are to expand this in other areas. Communications has also greatly improved with the arrival of a cellular towers throughout Zambia and one is situated right on the Mission property. Local and overseas calls can be made quite clearly by having a SIM card from the local provider and purchasing prepaid talk time. In addition we have a V-sat link which provides a connection to a satellite and is used for sending and receiving emails. The climate most of the year is warm to very hot. The exception being the latter part of June, July and early August when it does get quite cold in the early mornings and evenings, at times down to 6 degrees Celsius and so a sweater or jacket is appreciated. The rest of the year summer clothes are suitable, the hottest months being September and October. Rainy season usually starts in November and continues through to March with showers at times but usually the sun shines almost every day. The altitude is 1058 meters and the soil is very sandy and mostly flat terrain as Chitokoloki is on the outer edge of the Kalahari.